It’s always rather difficult to pinpoint just where some groups fit into the grand musical tapestry of modern life. This is especially so with regard to Australian folk-drenched contenders, Trappist Afterland, well at least without making mention of some names which their unusual, often quite strange and wholly esoteric palette of sounds bring to mind. This would include such forward-thinking dreamers and players of their time as Ireland’s Tír na nÓg and Dr. Strangely Strange, revered Scottish folk-psychedelic mavericks the Incredible String Band, and perhaps too a smidgeon of early Velvet Underground and, contrastingly, late 80s / 90s Welsh minstrels and communing pop heads, Gorky’s Zygotic Mynci. I only really mean this by the actual feel of some of their collective musical adventures, however, as it seems there are similar overtures and poetic rhymes being played out within each of these. Yet, the absolute reality of these intriguing tales as told by Trappist Afterland is that, no matter what pigeon hole styling or musical compartment you feel you need to try and slot them into, the group have created something that is very much of their doing. As with their previous Sunstone label outing, 2015s startlingly out-there Afterlander, there appears to be a lot more going down in the songs than what hits you initially. 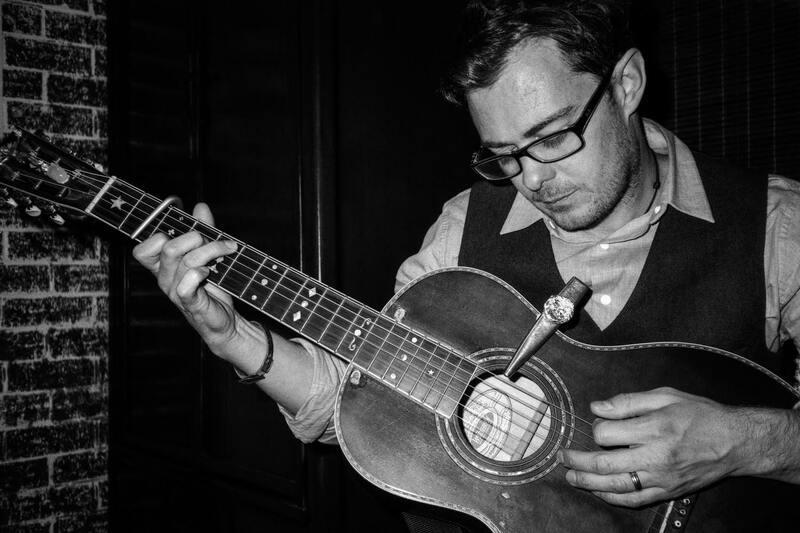 The rustic, yet deft musicality and poignant lyrical placement seems to be mined from someplace much older, and wants to engage the listener in an altogether deeper listening experience. Some of the group’s most arresting material takes us on a trip back to ancient times, with the biblical settings helping to set the scene, imbuing some of the pieces with spiritual and philosophical harbourings which, are, oftentimes, secreted deep within the burr, drone and twang of whichever stringed and keyed instrument is favoured, and also behind the not always obvious or easy to decipher vocals / lyrics. Every track here has weight and works on its own merit, flowing in circuitous patterns that forms the mesmeric whole. The tremendous and truly winsome ‘God Botherings’, an ever questioning treatise delivered in three rustic-hewn parts acts as a kind of anchor to “God’s Good Earth”. ‘Parasites (The Angel and the Wasp)’ is another cut that points towards the very heart of the project, and along with the likes of ‘Treehouse By The Shore’ and the twanging, eastern-style grace of a pair of real sun-kissed hypnotisers, ‘Sungirl’ and ‘No More Summer Caravans’ display a thorough demonstration of how remarkable, and also how softly out-there the group can get; offering more great examples of all the different tonal and sonic qualities Adam and his cohorts possess, as well as celebrating one or two quite radical song-structuring ideas the group gets off on. 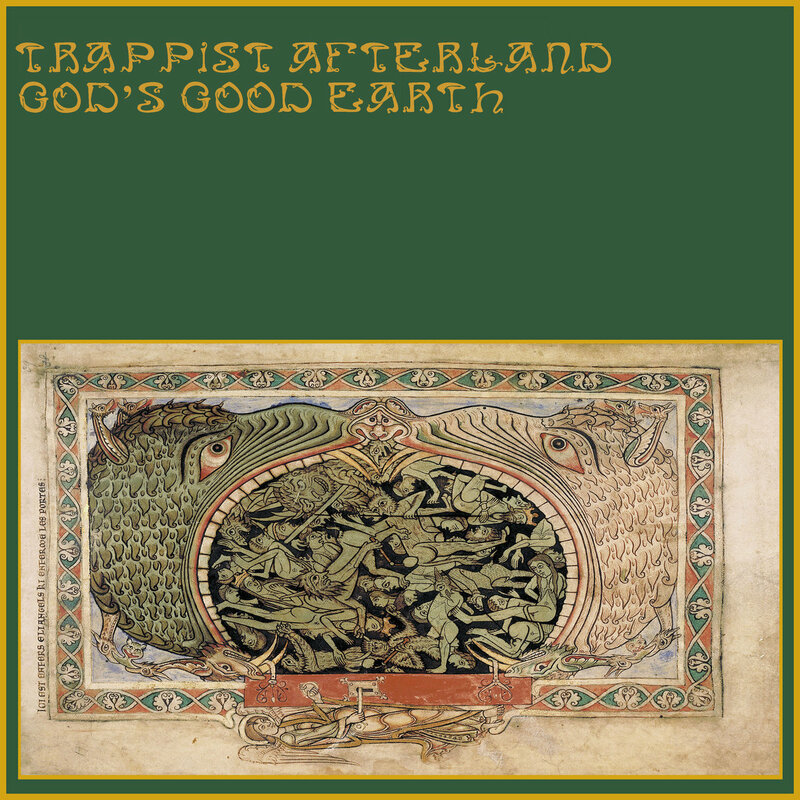 In summary, Trappist Afterland have yet again created what is a hugely enjoyable piece of work. Lose yourself awhile deep inside this magically uplifting sound meditation. It’s true that Trappist Afterland, the Australian-based multi-instrumental combo helmed by maverick songwriter and producer Adam Geoffrey Cole, are not your everyday, run-of-the-mill rock & roll style ensemble… and I for one am glad this is so. I mean, let’s face it, we have more rockin’ out style groups these days than we could shake a stick, no scratch that, a forest full of trees at – maybe even more than the very forests themselves now who knows? Anyway, such topical ideas on ecological / economical deepness aside, Trappist Afterland have just dropped another of their delightful long-play creations on us. Titled “God’s Good Earth” it is their second long-play outing for England’s still relatively new, delightfully merrie-making Sunstone label. Brimful of depth, august in emotional content, and questingly broad in music and word conversations are some of the many diverse qualities which the album possesses. Add to this the unerring ability – even in some of its more precarious, and melancholic sounding passages – to sound splendidly joyous and big hearted. The hope is that “God’s Good Earth” will have what it takes – I think it does – to fill you with big-lunged lust for life, to be lived out in all its fullness! I caught up with Trappist Afterland mainstay Adam Cole recently via email just as the group were winding up their most recent Australian tour dates. How long have you been involved in playing music Adam, and have there been other groups you played with before Trappist Afterland came about? music, hence Trappist Afterland’s sounds to date. Can you tell us who all the members of the group are, and which are the various instruments they play? Trappist is essentially just me with an ever evolving line up. I started Trappist in 2010 after my best friend and musical collaborator Neil Sweeney moved back to the U.S. Adam Casey and myself recorded the first album “the Round Dance of the Cross” at Adam’s parents’ house in Port Arlington (a small coastal town west of Melbourne). Adam and I recorded two albums together and he played guitar, vocals, hurdy gurdy and all sorts of percussion, as well as recording and he helped me produce the first two Trappist albums. After Adam left Brett Poliness joined and played organ, followed by Phil Coyle and Andrew Whalley on guitar. Phil played all sorts of percussion on the last three albums including frame drums, tabla, pots and pans, bells and everything else you can imagine. 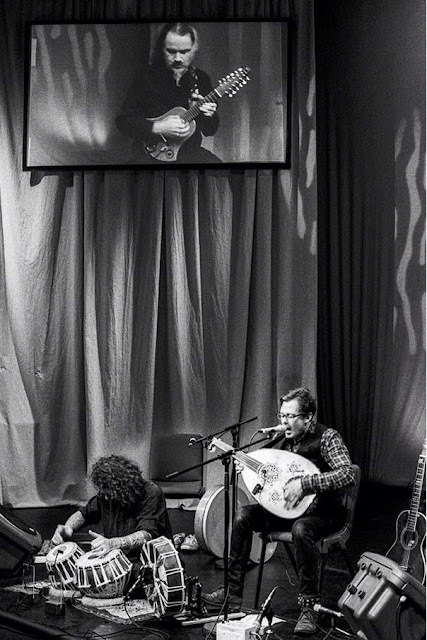 Nick Albanis played citern (a medieval mandolin), bowed psaltery and hammered dulcimer on “Afterlander” and played many live gigs with Phil and myself. Finally my old friend and producer Anthony Cornish now plays mellotron and harmonium with me live, as well as recording and helping me to produce the last three albums. What types of things, interests, music etc would you say count as the biggest influences on the group’s sound? 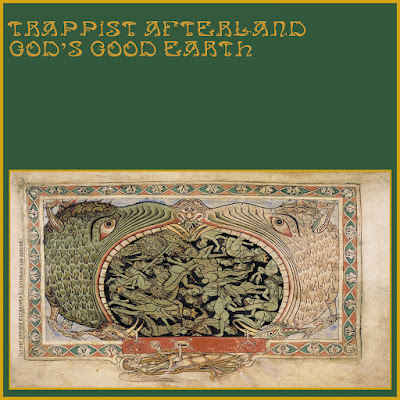 Probably Trappist’s biggest musical influence would be the British folk revival of the late sixties and early seventies, as well as Gamelan music, middle eastern music, Indian raga and all types of psych and prog. But the list could go on. Lyrically, the gnostic gospels have played a large part as well as the New Testament and the Book of Psalms in forming the ideas for a lot of the imagery in the songs. As well as more personal experiences, especially on the new album. My hometown has also played a large role in shaping the works. I grew up in a beautiful coastal town in the south part of New South Wales and the area was a very sacred place for the Aboriginals before the white settlement. Pregnant women from tribes would travel miles to give birth at a beach in Kiama. I try to get back there as much as I can especially when working on new songs. I’m actually returning home in September to record the follow up to “God’s Good Earth”… it will be called “Elm and Bracken”. We are planning to record it on an 8 track at my mate Stephen Holme’s studio Floating Axe. Are you a literary bunch… it sounds like your lyrics can be pretty deep. What kind of reading and literature fuels your imagination? As for literary influences I’m far from being well read. I tend to listen to music a lot more than I do read although I wish I did more. The gospels play a big part in the works, but I also see myself as more of a conduit. Songs tend to fall on me more often than not. It’s not something I work on and I’m a long way from being a literary scholar, that’s for sure, more of a drunken hobo ha ha. Cheers and heap big thanks to Adam for taking time out to answer these questions and for giving some insight into Trappist Afterland. The Sergeant Pepper of psychedelic folk. It's impossible to live without this record. One of the most beautiful LPs of all time, but nobody cares. Peculiar days, indeed.